Welcome to the world of knitting! We equipped Purl Soho's Learn To Knit Kit with the perfect introduction: two gorgeous skeins of our Super Soft Merino, enough to make an equally gorgeous scarf. 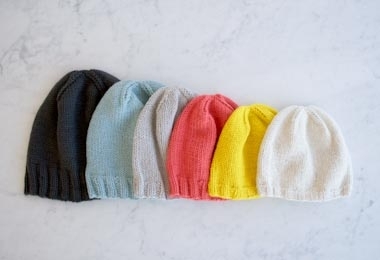 Each Kit also includes our Learn to Knit Pattern, an everything-you-need-to-know instructional booklet that walks you through all the steps of knitting your first scarf, from casting on to binding off. 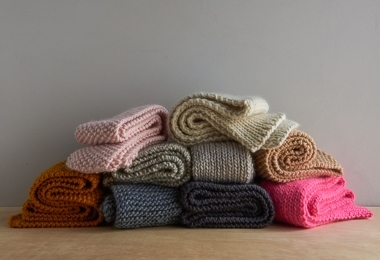 Please click Product Details, above, for a complete list of the Kit's contents and get knitting! NOTE: We've given this Kit a fresh look, but it has the same basic materials and instructions as the previous version. New! 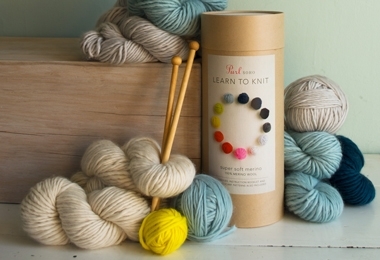 Purl Soho's Learn To Knit Kit!